Small business owners in Scottsdale often spend a lot of money beautifying their stores, making sure that things look good inside and out. But many of these entrepreneurs often ignore an important section of their premises—the parking lot. Ensuring that your parking area is clean and has good lighting may not seem much, but it can make your business look professional and credible. Not to mention it also makes both your staff and customers feel safe. That being said, here are a few things to remember when lighting your business’s parking lot. 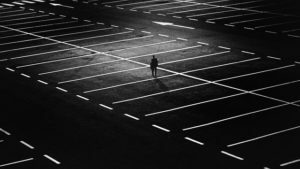 The first step to choosing the best lights for your parking lot is to narrow your focus on the right type of fixtures. This will depend on the size of the parking lot, your specifications for visibility and brightness, energy consumption, lumens output, lifespan, and ruggedness. Examples of ideal parking lot lights include post lights, flood lights, spot lights, and landscaping lights among others. When it comes to outdoor lighting, you can’t go wrong with LEDs. 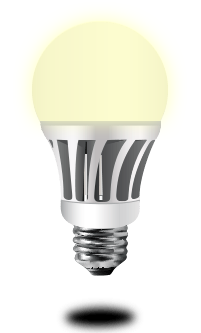 These energy-efficient bulbs are perfect for outdoor spaces due to their rugged solid-state construction, low-heat output, high-lumen output (i.e. brightness), and long lifespan. More importantly, commercial LED lighting uses a fraction of traditional commercial alternatives, most notably high-power halogen lamps. Commercial LEDs also produce a bright, crisp light that’s directed downwards, reducing light leakage that contributes to light pollution. Aside from determining how much light you need in your parking lot, it’s also important to consider where you need light. For example, pathways need a brighter, concentrated light spread—think light produced by track lights and spot lights. On the other hand, the general parking area will need multiple light fixtures that produce a wide beam angle, such as that produced by flood lights. Mix and match different fixtures to create a parking area that’s strategically illuminated. You should also be considerate of your neighbors and keep light pollution low, which is where LEDs come in. You want your lighting to be focused on the parking lot, not on your neighboring property. The height of your parking lot lighting is just as important as the type of fixtures you choose. If you choose a light pole that’s too short, the light will end up being focused on a tight area, which means having to place more light fixtures to compensate. Conversely, using a light pole that’s too tall will cause the light to be too spread out, appearing dim as a result. While light poles come in a variety of sizes, such as 16 feet, 20 feet, and 25 feet, your choice will ultimately come down to the size of the parking lot. A good rule of thumb is to use taller light poles and brighter bulbs for larger parking areas. Brighten up your parking space and welcome more customers to your business by keeping these lighting tips in mind.